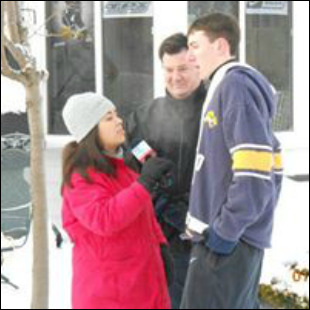 ​Eleven years ago, tournament founder Nicholas Penberthy, an East Amherst, NY high school student, contacted Sean Green, the Executive Director of Hasek’s Heroes, a not-for-profit organization that helps “teach leadership, perseverance, loyalty, commitment, as well as providing a foundation for a winning future” to pitch the idea of a backyard ice hockey tournament fund raiser, featuring high school players that would pay to play. Monies raised would go to his organization to increase the number of children of low-income families that could play hockey. And so, the Hasek’s Heroes Backyard Classic was born. 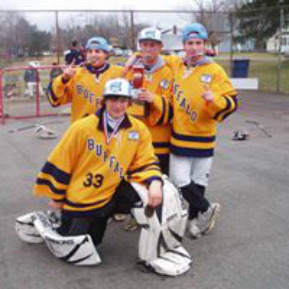 At first, the tournament was comprised of players from Williamsville North High School’s varsity hockey team who competed against each other on an outdoor backyard ice rink set up at Penberthy’s home in East Amherst, NY. 12 players participated, and an event put together in two weeks managed to generate $500 for Hasek’s Heroes through player fees and a corporate sponsorship from Rand Capital. ​Despite the short advertising period, The Amherst Bee wrote an article which helped establish the validity of the tournament and Channel 7 aired a segment which spread the news in the community. The 2nd Annual Hasek’s Heroes Backyard Classic doubled the number of players to 24 and turned into an all-day event. Teams from Williamsville High Schools (North, South and East), Nichols and Canisius played. Penberthy, a sophomore at SUNY Cortland studying elementary education, persuaded local companies to donate food for the event, which added to the ambiance. More than $1,500 was raised which was used to defray the cost for Hasek’s Heroes kids to play in an inner city hockey tournament in Detroit. For many, it was the first time the kids had traveled outside of Buffalo. ​Three months before the 3rd Annual Hasek’s Heroes Backyard Classic, Channel 2 News broadcast a story about the tournament, noting that the goal was to double the amount of donations and players. 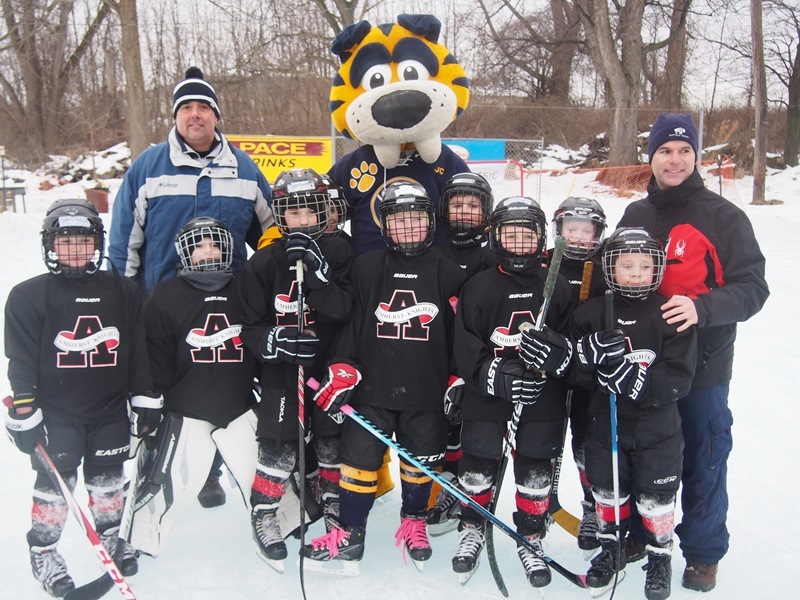 The tipping point came when Chris Taggart, an Amherst resident, saw the story and contacted Penberthy to offer his backyard rink and time to double the capacity, which allowed expansion to 24 teams and 96 players. Taggart now serves as Tournament Director. Social media created buzz and helped Penberthy secure donations from local organizations, such as Tim Hortons, the Buffalo Sabres, Buffalo Trim, HD Video Café, Papa Leo’s, Bocces Pizza, Dangle Hockey and The Buffalo News. Channels 2, 4, 7 and YNN reported on the tournament, in addition to the print newspapers: The Buffalo News, Metro Source News and The Amherst Bee. Monetary donations coupled with registration fees exceeded the goal, with more than $6,000 being donated for new Bauer hockey equipment for Hasek’s Heroes kids. 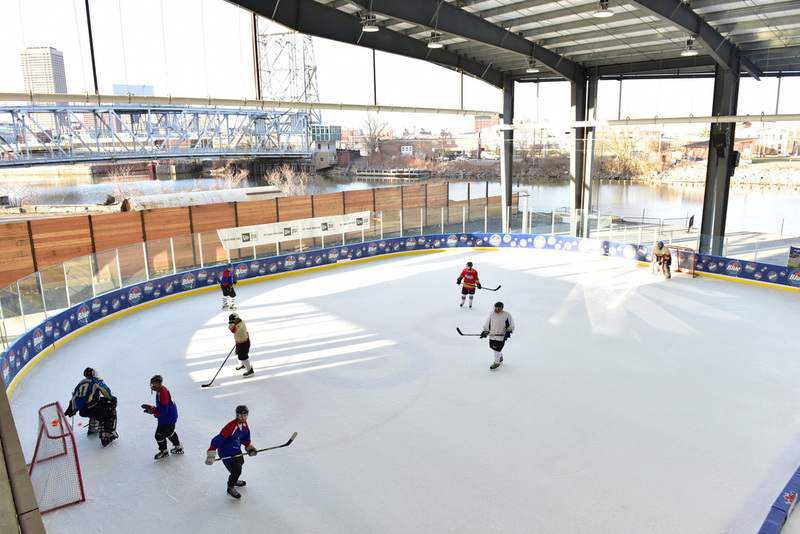 ​Plans were laid to expand to a third rink. Unfortunately, the weather didn’t cooperate and a scaled down version of the tournament was played on tennis courts. The event still unbelievably raised $13,000 in player fees and corporate sponsors!! A large donation from Tim Horton’s Café and Bake Shop bought them the naming rights to the tournament through this time period. These were great exposure years for The Backyard Classic, but the weather was always a continuous battle. Pace Landscaping and Ice Rinks built and maintained our ice rinks for these years. 2 out of 3 of these years we were able to deal with big storms or get perfect weather just in time, with the exception of the 2016 Event. The weather at the last minute took a turn for the worse and we were forced to move our Tournament to Riverworks Buffalo. Where we were able to use their rinks, and once again, pulled off another very successful event. ​​This year, Taggart, Tournament Director arranged for the event to be held at a centralized location at The Angry Buffalo, in Williamsville NY, who offered up their facility to accommodate four ice rinks. In addition to securing a new location, Taggart was responsible for the logistics of setting up and maintaining the ice rinks. He worked with local companies to obtain donations of labor and material for the rinks, fencing and netting, in addition to providing many volunteers to complete the task. 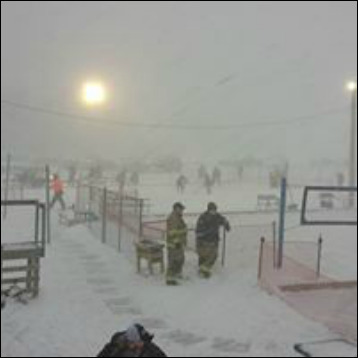 Without the help of many local volunteers, including The Bowmansville Fire Department, who not only donated their time, but their Pumper Trucks and the water to fill the rinks, couldnt have done it without them. Middle School, Adult and Mite (5-7 year old) player divisions have been added this year to bring the number of teams to almost 40. The proceeds of the 2013 tournament were used for an educational resource room at Hasek's Heroes. The Backyard Classic’s executive sponsor is Tim Hortons Coffee and Bake Shop. Gold Sponsors include, the Buffalo Sabres, Atlantic Bedding, CertainTeed, , City Fence, DiVal Safety, Eagle IT, Jam in the Valley, The Mac Groups, Merchants Insurance, New Era Cap Company, Pace Landscaping & Rinks, The Angry Buffalo, Rand Capital and Synacor.